Unusually complex and moving considering Lover's Tear also stars Sammo Hung, Lam Ching Ying, Ku Feng and Wu Ma but if you stop and think about it, those veterans had proven their worth in dramas such as Painted Faces, School On Fire and Hong Kong 1941 already. It's still a rare opportunity given by director/co-writer Jacob Cheung (Cageman, The Kid) to profiles highly associated with action to take part in drama. Going past The Defiant Ones reference reveals a low-key love story centering around nobility and the difficult choices of Ling. It's therefore encouraging to see Nina Li come through with such a telling performance, despite the limited dialogue. Her chemistry with stuntman Ngai Sing is lacking though as he is the failed experiment of Cheung's here, fitting poorly as a lead and romantic lead for that matter. Someone like Andy Lau could've better embodied this arc but Lover's Tear still remains engrossing throughout, especially when the stakes are high towards the end. Sammo, Lam Ching Ying and Elvis Tsui are all exceptional towards this end section, dealing with written material with grace coupled with strong, tight direction from Cheung. With its unexpected but fair conclusion, Lover's Tear is underrated but since the main male star pretty much fails, it's not up to the master levels Cheung has reached before. Lee Gwok Laap (Sea Root) is provided with material that is certainly risky in many respects. The challenge involves, at least in my mind, to avoid the highest pitch in melodrama and it also has to do with your delivery of story touches that you are expected to deliver. Lover's Tears doesn't end up advancing to the high division but having Derek Yee around seems to be inspiring for Lee. It is misery of the gravest kind, a story about forgiving, mending and considering what Lee puts Carman Lee's character through, it's very surprising to see him handle it with a gentle stroke rather than the fist. Ponder scenes where she's changing light bulbs, telling dialogue like "How did you father punish you then?!" and you'll immediately realize the credit Lee deserves. The subtlety in the melodrama is very spot on and the story holds a realism that generates probably unconventional movie choices. I'd rather have that. Worthy of criticism is some obviously planted characters for the theme of the film to be furthered and perhaps it isn't as touching always as it should but they're minor setbacks amongst the whole. Anchored to a very good degree by Carman Lee, Derek Yee's supporting role also reminds us about the warmth in his screen presence post-Shaw Brothers. Also with Pauline Suen (Ichi The Killer). A good enough looking movie but Stanley Fung misses the train on the romantic core (and seemingly doesn't pay off the one concerning his character) as leads Tam and Cheung have no chemistry whatsoever. It's quite inconceivable these two would fall in love, even within the rules of movie magic. A tolerable but also complete bore of a commercial time. Also with Sandra Ng, Nat Chan and Miu Kiu-Wai. Ken buys a piano, wants to be a piano tuner, plays in a band, wants to appear grown up in the view of his father but it's a journey of up's and down's. Meeting Joyce also requires a social skill, to learn a woman (just as much as she needs to learn a man) as more than occasionally he casually puts her down. But this too nice male kid and this too impulsive female kid grow... which applies to Lee Biu-Cheung's reserved direction as well. Featuring no notions of injecting cheap melodrama and instead going that more difficult route of enhancing small moments to big, emotional ones because you've gotten to know the characters, it's clinched very well by Lee and ultimately matters may not be about the romance after all. Growth, independence, erasing self-doubt, all is suitably underplayed and thoroughly clear in this underrated piece of drama. Niggles include a quite fast development to Andy Hui and Josie Ho's relationship and a mysterious drop out of the triad debt plot but A Love Story (aka You Light Up My Life) shows quite high brilliance despite. Andy Hui puts in his best performance along with an always dependable Josie Ho. Also with Frankie Ng and Shing Fui-On. Produced by Bennie Chan who is behind the nasty Human Pork Chop as well as the wacky/felt romance Feel It... Say It... (starring Eric Kot and Candy Lo). 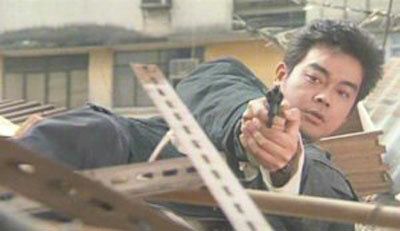 Stanley Kwan's second movie again sees him teaming up with Chow Yun-Fat, one of many fine assets of Love Unto Wastes. Love and waste certainly are key words in this unusual drama (co-written by Yau Daai On Ping who also penned Rouge with Lillian Lee) as it one, takes a loooong time to finally grasp and reward you. Secondly, Kwan lets us experience characters steeped in unsympathetic behavior, misery and imperfections, leaving us all alone in understanding and waiting for whether or not the people will change their ways or grasp an understanding themselves about what destruction they inflict upon their environment. His answers ring true to the character setups, answers that are too unconventional for the general moviegoer to accept but in the end, Kwan's pet theme of outcasts materializes quite nicely and Love Unto Wastes grows immensely. Much thanks to low-key performances but the supporting role of Chow Yun-Fat is a marvelous showcase for the charm and humanity that Chow brings at the best of times. His commercial breakthrough was just round the corner with A Better Tomorrow so this one under the guidance of Stanley Kwan has sadly been neglected. 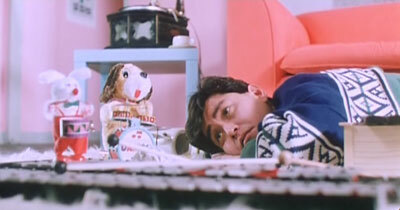 At least he received a Best Supporting Actor nomination at the Hong Kong Film Awards, the same year he also won for his performance in A Better Tomorrow. Produced by Tony Leung Kar-Fai (also lead) and Stanley Kwan, this low-budget drama comes with suffering. Characters are torn and loveless towards themselves, as is the direction on display by first timer Nelson Yu. In a stripped down hands-off style, Yu draws out every image he can despite them being filled with nothing but basic meaning. In an odd way, that stretching makes sense as Yu portrays a slice of seedy life consisting of almost constant dullness but it sure doesn't make for a compelling study on film. A reference point for the melodrama genre and star Linda Lin Dai, it's at times hard as new, outside eyes to appreciate the impact of a movie like Love Without End. Because we've seen it all and the style comes off as quite big and old fashioned. But there is craftsmanship here and aspects that stand out. And if you read up on its impact, those aspects are quoted and that means they survived. Linda Lin Dai plays Li Qing Qing who gets help breaking out as a singer from Tang Peng Nan (Guan Shan, father of actress Rosamund Kwan). There's romance in the air but irrationality and lack of communication derails their connection. Also, with it being a melodrama, there's going to be terminal disease at the heart of the plot for hour two. Already an established star, Lin Dai gets to tackle the tropes of the melodrama. Ranging from her charming singing scenes (especially when done in montage-form) to facing difficult truths when she finds out she's sick. She's at the center of director Doe Ching's treatment and by hour two, despite the hugely dramatic tone, there is an intelligence on display here. Especially since characters decide not to tell Qing Qing of her diagnosis in order to keep her mental state intact. But who's to say that is the route and wouldn't someone want to wrap up their life more truthfully? Under the old fashioned and sometimes basic cinematic treatment (cinema is always evolving and Hong Kong was too), this is a poignant undercurrent to the film. Coupled with Lin Dai's emotional and classic theme song, there is a case for Love Without Endhaving endless impact. Johnnie To directs with tough style to the action segments but surprisingly is very low-key when Loving You deals with Lau and Lee's characters. At least for a bit seeing as he cranks up the emotions as we roll along and presents some rather familiar and convenient plot devices. The latter being especially true towards the end. Still, for the short experience that Loving You is, To affects thanks to his actors Lau Ching Wan and Carman Lee who shares wonderful chemistry as distanced husband and wife. Again, it's all over quick and therefore never carry great substance but Loving You works well during its brief stay. Ruby Wong also appear. The Yuen-family were on a roll in the 80s, cranking out wonderfully zany comedies (Taoism Drunkard, Mismatched Couples etc). There was a knowhow present about maintaining a frenzied tempo but the dud in the output attempting all of this is Lucky Diamond. Director Yuen Cheung-Yan keeps matters simple though as a group of colorful villains (including Tai Po as a gay Nazi) are hunting down a diamond that's ended up in the hands of singer Ji (Anita Mui). Aiding her is a duo of detectives (Alex Man and director Yuen as IQ the wacky inventor). 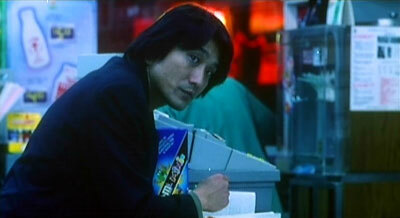 There is some well paced, comedic energy and terrific action whenever Alex Man is involved. 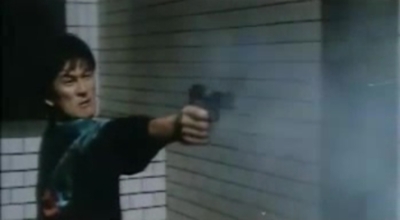 So Yuen is nearly there for half a movie but energy peters it out seriously by the second half. Leading to a feeling of exhaustion watching these filmmakers and performers try without success. Also with Yuen Shun-Yi, Charlie Cho, Chan Si-Gaai and Bolo Yeung. Taiwanese action that brings skills via cast and in some of the action-beats but can't escape its low budget roots otherwise. A dual directing team crafts a muddled mess of cops and gangsters, dealmaking, betrayal and violence-template but the quick and basic gunplay has a snap to it. Even dipping into martial arts at points, there's essentially no other highlights after this initial rush. The rest is a dull, incoherent movie that feels way longer than 81 minutes. Starring Lam Wai, Shing Fui-On, Lung Kong, Ken Lo and Chi Kuan-Chun.